Tindersticks’ suit-wearing stalwarts of soulful, crepuscular chamber rock have spent the past quarter-century tinkering with the classic palettes of lounge, soul, and countrified baroque pop, creating a body of work that’s shockingly eclectic for a band that pretty much only writes downbeat songs about romance and self-pity. Led by the head-cold baritone of frontman Stuart A. Staples, the band has never been easy to place, being more string-backed indie fellow travelers—the missing link between Nick Cave and early Belle & Sebastian—than true indie rockers, and a “love one song, love ’em all” cult act if there ever was one. Though it’s as moody as any latter-day Tindersticks release, new album The Waiting Room finds the band incorporating elements of funk and central African pop, but strictly on its own terms: some muted slap bass here, a narcotized highlife guitar line there. As Staples has aged into his once prematurely gray hair, his band—currently a five-piece, seemingly based everywhere except their original hometown of Nottingham—has perfected the aesthetic of the trembling, smoky sad-sack ballad. Though the band members’ taste in instrumentation skews toward the late ’60s and early ’70s (vintage keyboards, reverb pedals, vibraphone, glockenspiel, etc. ), they have never been fastidious revivalists; this is a group of musicians that never tries anything it can’t internalize. Here, only the Afro-rock “Help Yourself” sounds like imitation—and even then, it’s still captivating, with Staples’ deep voice working itself up over horn lines and complicated rhythms. (American-born Earl Harvin, a longtime session drummer, remains one of the strongest features of the current line-up.) Since losing three of its founding members (including seemingly essential multi-instrumentalist Dickon Hinchliffe) a decade ago, the band has made keyboardist Dave Boulter a central part of its sound, and his wheezing organs and buzzy Wurlitzer electric pianos set the wistful mood of The Waiting Room. The three instrumentals on The Waiting Room (“Follow Me,” “This Fear Of Emptiness,” and “Planting Holes,” which is basically a Boulter solo cut) all sound like movie music, but only because they sound like Tindersticks. These are interstitials, easing listeners in and out of Staples’ latest gorgeous expressions of world-weary romantic hurt, including the superb one-two of “Second Chance Man” and “Were We Once Lovers?”—the former gradually inclining into blue-eyed soul, the latter swirling and echoing as though obsessed—and the closer “Like Only Lovers Can,” which pairs The Waiting Room’s bleakest lyrics with its gentlest melody. 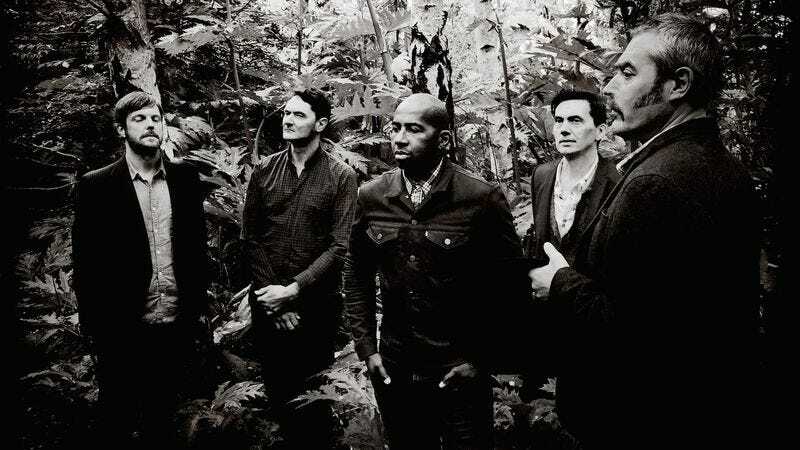 Though Tindersticks is no longer angling for the pure dramatic sweep of its ambitious ’90s records, it remains a unique band, maintaining a sense of creativity (and making beautiful music) while working within limited themes. It has refined songs about women smoking by windows into an art. Maybe it’s stubbornness. 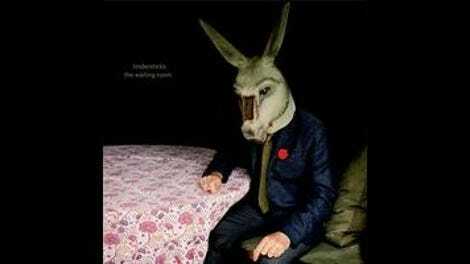 Animal metaphors have long figured in Staples’ lyrics, and donkeys have graced several Tindersticks album covers. On the cover of its latest, the singer appears in a mask—a donkey’s head.